for a second walliee this is soo goooodd!! >o< sakiz first wallies .. SUX ... -.- tee hee .. but try to blend the characters in moreee!! then = perfectt!!! wow !! nice work on the bg ! me loves the image used too !!! 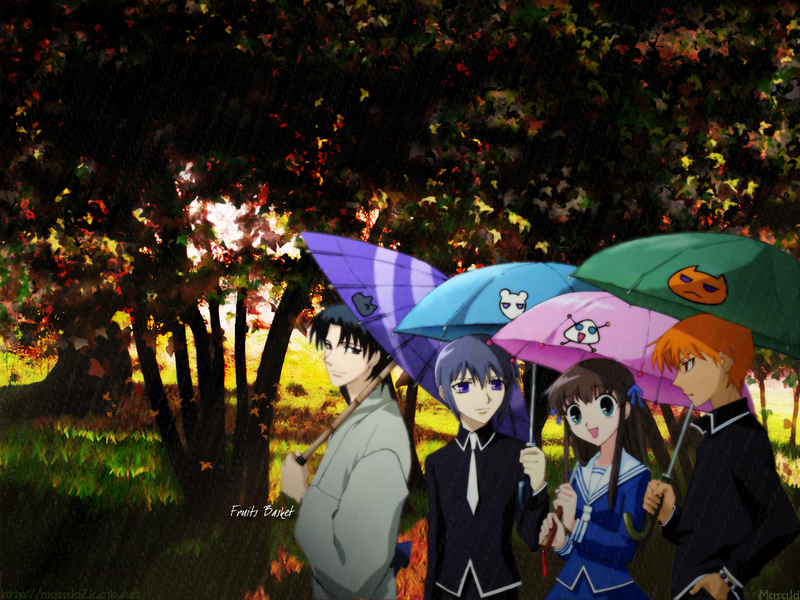 *sticks face at kyo's pic* i love their umbrella !!! i love this wallpaper! its so nice! no amount of words can describe it! wonderful, how do you ever do it? Nice match with the characters and the bg all blending in so nicely. Haha.. This is SO cute! nice job.. I wish i could do something this good on my first few attempts. Haha.. Thanks for sharing this though! I love it.